I feel best when I eat high protein meals but my creativity has really been lacking lately. Greek yogurt, chicken, turkey, beans, lentils, etc. on repeat. Booooring. I wouldn’t say I’m a huge egg fan but I do like egg salad. 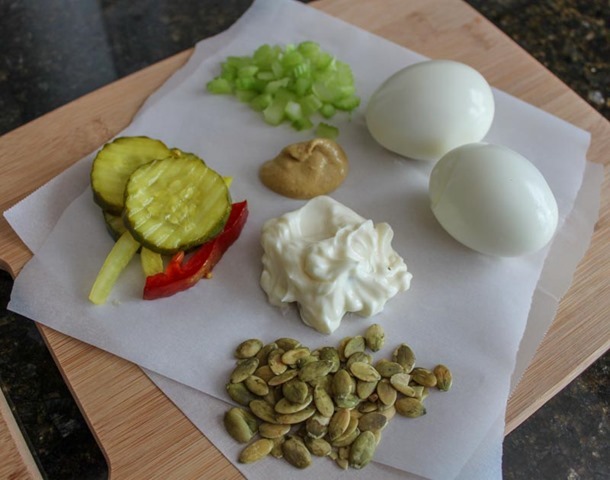 I came up with this recipe when I was brainstorming high protein lunches for the work week. This recipe is great because it’s packed with flavor, it’s super easy to scale up or down for whatever quantity you want, and you can totally make it ahead of time to grab and go when you need it. 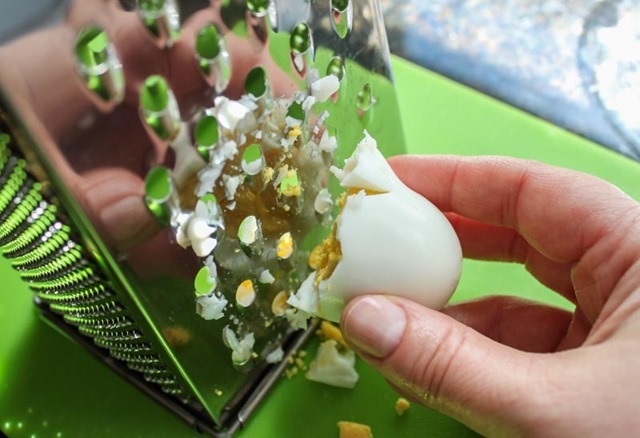 Start by hard boiling the eggs. 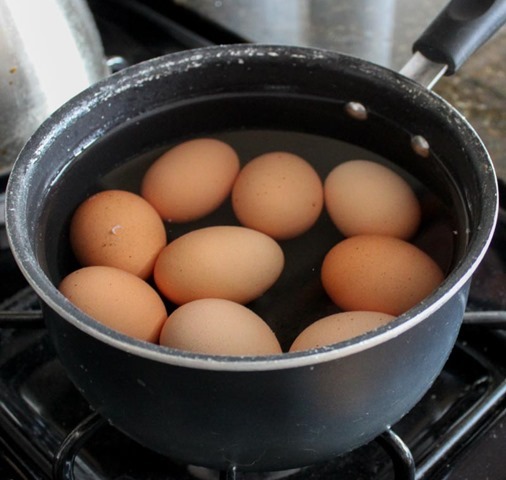 I know every food blog right now has a “perfect hard boiled egg life hack!” post but it’s really not that complicated – bring a pot of cold water up to a rolling boil, boil eggs for 12 minutes, drain the hot water, cover in cool water for 12 minutes – done! You can see here that I made 10 hardboiled eggs in my batch. I planned to make 5 work lunches and like to hardboil the eggs all in advance. I make half of the egg salad on Sunday and the other half mid-week on Wednesday. 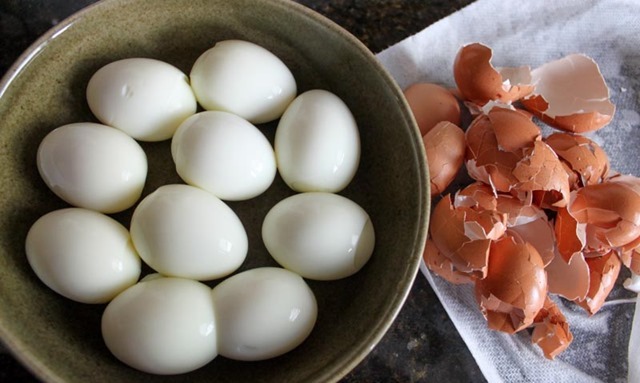 After the eggs have cooled down in their cold water bath, peel off the shells. 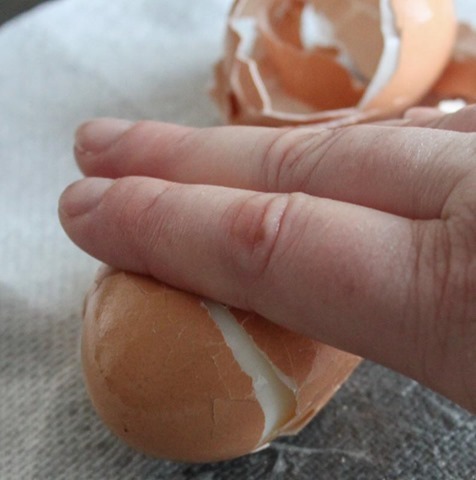 Sometimes this can be a pain but my two tips are 1) only work with cold eggs (they’ll rip apart if they are at all warm) and 2) I tap on the counter a few times, press the egg down with my fingers, roll back and forth until the shell loosens, and then it peels right off. Don’t forget to compost those shells! 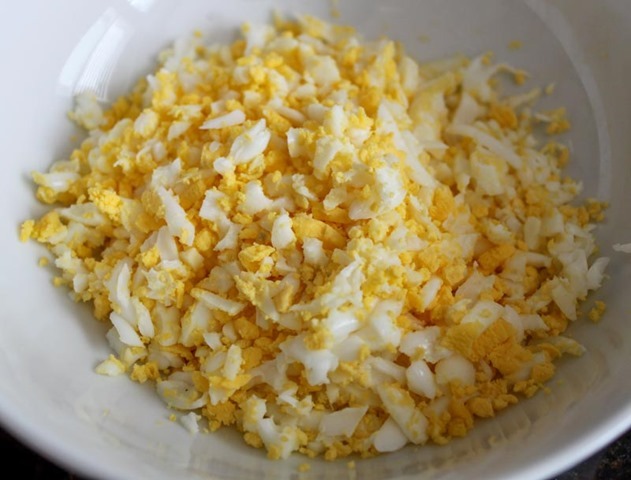 For my egg salad I use 7 ingredients. 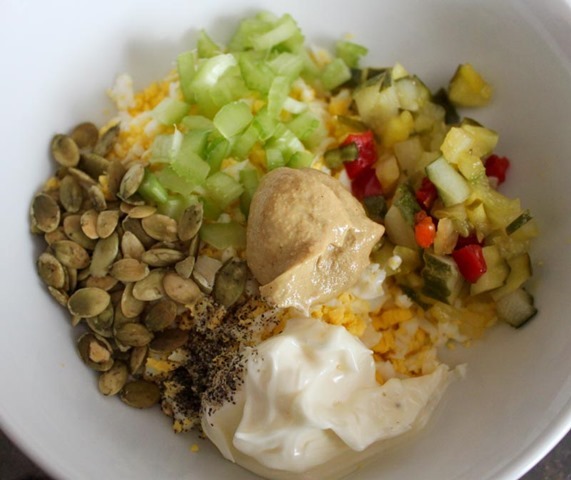 I think the combo of eggs, celery, pickles, pumpkin seeds, mayo, mustard, and pepper are the perfect compliment. There’s sweet, sour, crunchy, tangy, salty, creamy, and savory. 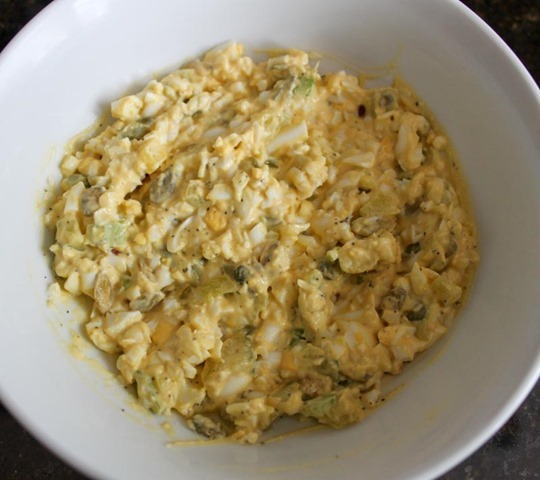 The real secret to making this the best egg salad ever is to grate the eggs rather than chop them up. I use my box grater/cheese grater and I love the uniform size I get. Mix up all the ingredients in a bowl and taste for seasoning. Adjust as you like! 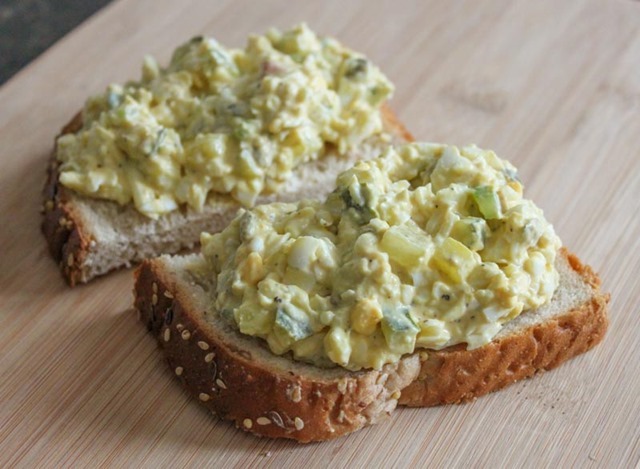 Serve this luscious egg salad in a sandwich, on crackers, or in lettuce cups. Enjoy!